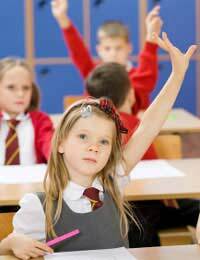 Home > Private School > What is a Preparatory School? Parents considering sending their children to a private school often entertain a myriad of school choices before deciding on the school that’s right for them – and their offspring. It can be confusing to know which type of school is best for your child, especially as so many different types of schools exist today. One type is the preparatory school, which helps prepare primary school-age children for private secondary school or a good state grammar school. Like every type of school, preparatory schools are all different, and choosing the right one can be a minefield. It's a decision which can affect your child for the rest of his or her life, and one that most parents don't take lightly. Knowing what you want – and what exactly a good preparatory, or prep school entails – is the first step to getting your children into the school that’s right for them. Preparatory schools traditionally were schools that prepare children to take the Common Entrance Exam to get them into a private independent secondary school. While this is still the case, now many parents also choose to pay their high fees in the hopes of getting their child into a good state grammar for secondary school instead. Many preparatory schools are traditional in that they provide schooling for girls aged four until 11, when they go to secondary school. Boys will attend pre-prep until age eight, then prep until age 13. Of course, these rules go out the window when it comes to a co-educational prep school, which is more often the case now than it used to be. Parents choose preparatory over state schools for a variety of reasons. In general, the class size is smaller and more specialist teachers exist, which can be especially important if your child has any special needs or other potential difficulties. The facilities are often very good, but not always – especially in the case of very small schools. If large playing fields or special sports facilities are important for you, keep that in mind when making school visits. Some follow a religious path; others don’t. It will be important for you as a parent to find out the ethos of the school and whether it meets your own particular needs, and those of your child’s. Most parents, however, choose a prep school largely because of their high test scores, knowing that if they send their child there they will be virtually guaranteed to get a place in a good secondary school when they leave. Getting accepted to a prep school is, of course, the first step. Most prep schools accept children on the basis of an entrance exam and an interview, although some require only an interview. The recession, however, has meant that an “unprecedented” number of preparatory school places are being left vacant, according to the Good Schools Guide, as people struggle to pay the often high fees. That means your child might find it easier – and cheaper – to secure a place at a top prep school, especially as many are now offering financial incentives to attract more potential students and keep their numbers up. Preparatory schools are a popular choice for parents looking to send their children to private secondary schools as well as good state grammars in areas where they still exist. Knowing the type of school that would best suit your child - and also finding out which schools children traditionally go on to from there - is key when deciding which one to consider. Visiting a choice of possible prep schools and talking to other parents is a must before you decide which school is right for your child. Budgeting is also key, as you need to make sure the financial outlay is doable before you sign up. Who knows - in today's economy, that state school down the road might be looking better than ever!